Great savings compared with buying the tools individually! 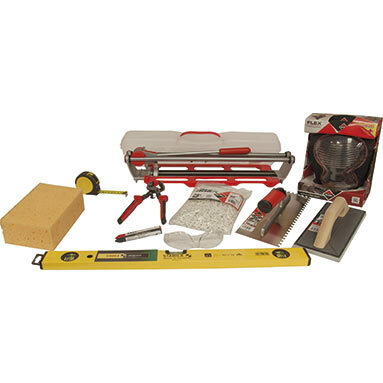 The Buy Brand Tools beginners tiling tool kit is a fantastic buy for first time tilers and ideal for use on small ceramic tiling jobs. Rubi 6mm Notched Trowel - stainless steel, Rubiflex handle.